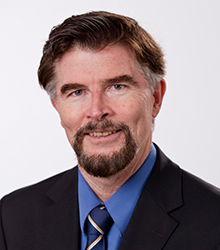 Dr. Cooke’s research program is focused on vascular regeneration, vascular cell identity and nuclear reprogramming. The program is funded by grants from the National Institutes of Health, the American Heart Association, Cancer Prevention Research Institute, and industry. The Cooke group aims to understand the mechanisms underlying epigenetic plasticity that are required for functional adaptation to cellular challenges. Innate immune signaling causes global changes in the expression and activity of epigenetic modifiers with metabolic coupling that favors an open chromatin configuration. The translational output of this work is vascular regeneration via therapeutic transdifferentiation using small molecules or mRNA. In his 25 years of translational vascular biology, Dr. Cooke first described and characterized the anti-atherogenic effects of endothelium-derived nitric oxide; the anti-angiogenic effect of the NO synthase inhibitor ADMA; the angiogenic pathway mediated by endothelial nicotinic acetylcholine receptors; the role for this pathway in states of pathological angiogenesis; and developed an antagonist of the pathway that is now in Phase II clinical trials. His clinical research group has explored the use of angiogenic agents and adult stem cells in the treatment of peripheral arterial disease. More recently, he has generated and characterized endothelial cells derived from human iPSCs, and explored their role in angiogenesis and vascular regeneration. Recent insights from the laboratory have clarified the role of innate immune signaling in nuclear reprogramming to pluripotency and therapeutic transdifferentiation for vascular disease.